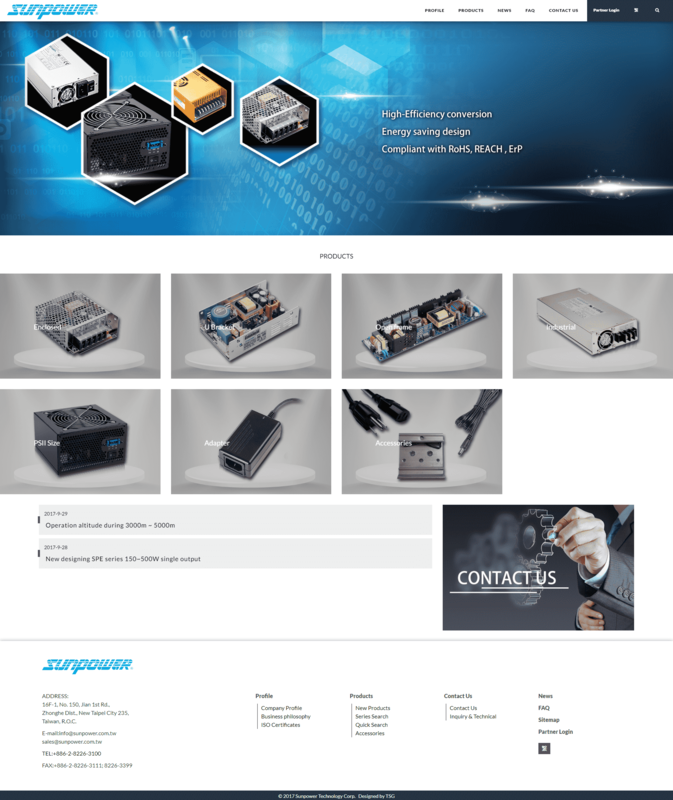 Established in 1986, Sunpower Technology Corp. is focused on develop and manufacture the switching power supplies. And use Sunpower trademark to sell around the world. In order to make the product quality to satisfied customer, we obtained the ISO-9001 in 1991. And ISO-14001 in 2000 for the sake of environmental protection. To cope with the market demand, the products have AC-DC and DC-DC switching power supplies. The output from 15watts to 1000watts. The products more than 850 models with a variety of size. They can be used in Industrial control, communications and home appliances system applications. Most parts of our products have acquired the recognition of the world’s safety agencies including, UL, cUL, TUV ,CB or LVD and CE.